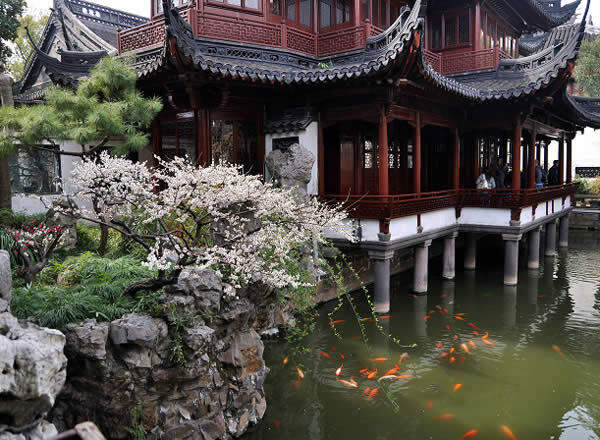 Shanghai Yu Garden is located in the northeast corner of the old city south of the city, north of Fuyou Road, east of Anren Street, west of the Chenghuang Temple, it is a famous classical gardens south of the Yangtze, as well as the world-famous historic sites and tourist attractions. Yu Garden is one of art the treasures of gardens south of the Yangtze. 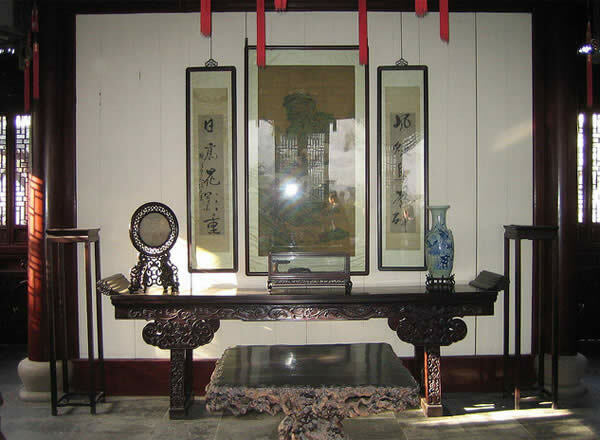 It was built in the Ming Dynasty, and the original lieutenant-governor is Panen, to serve his father. 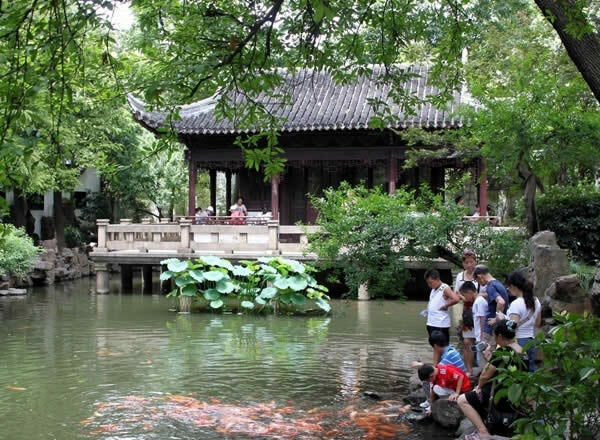 As the only Classical Garden in Shanghai, Yu Garden embodies the most representative of South Garden Culture. 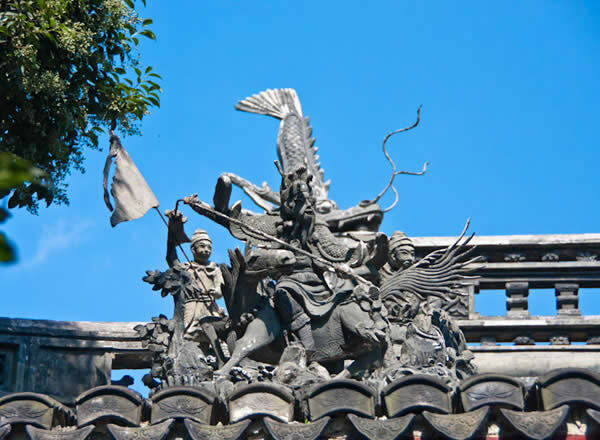 Yu Garden was built in 1559, and has more than four hundred years of history. 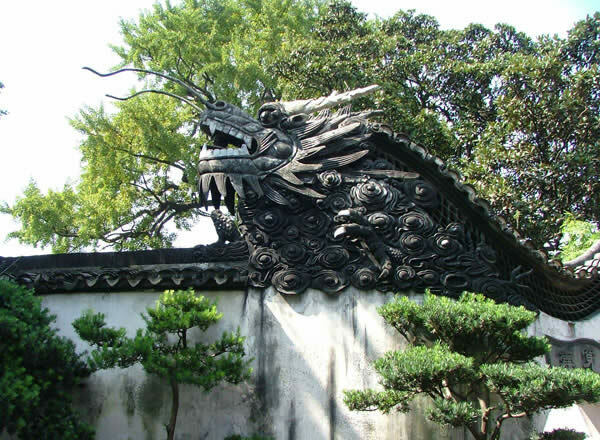 It was originally a private Ming dynasty garden, covers an area of thirty acres. 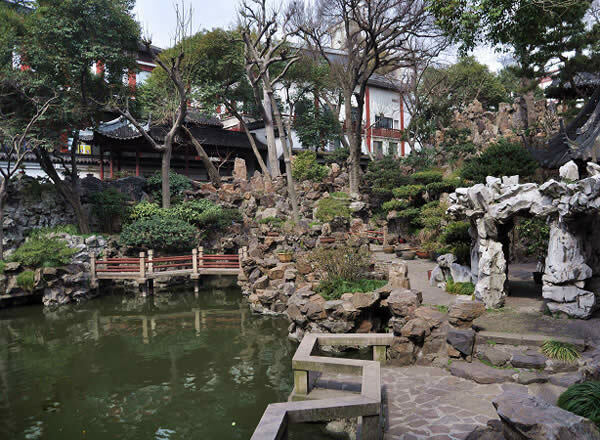 There is Sui Tang Park, Big Fake Rockery, Iron Lion, Fast Pavilion, De Yue Pavilion, Jiyu gallery, Tingtao Court, Hanbi Pavilion and other ancient stage, pones, more than at the four ancient buildings inside the garden. Exquisite Design, compact layout, the garden is quiet and grace, known for exquisitely features, reflecting the Ming and Qing dynasties southern architectural garden style, it is a shining pearl in classical South gardens. Yu Garden is divided into six scenic areas, each area has its own unique view. 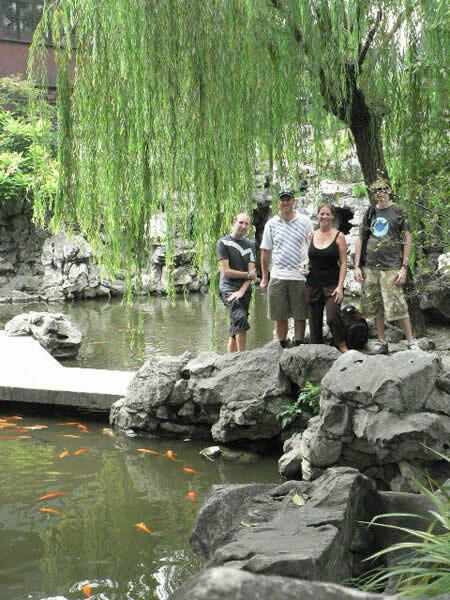 Mixed garden pavilions, hills, rockeries, glittering lakes, for which it is known as "the most attractive garden in south of the Yangtze ". It was the first time for me to walk into this classical garden.I found a feature that most of the visitors were not Chinese, basically up to 80%. 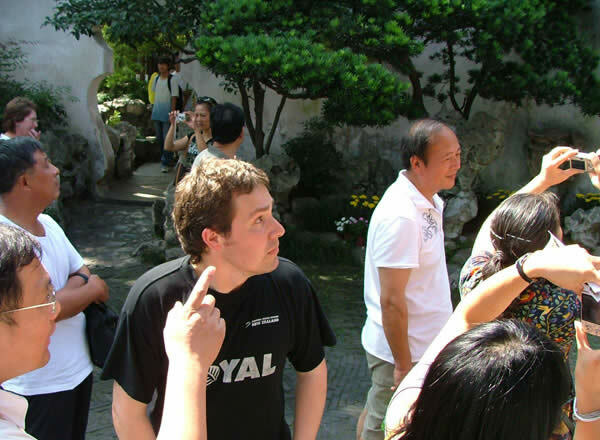 This phenomenon is the same as the situation in the Humble Administrators Garden in Suzhou, it seems that many foreigners are most interested in the Chinese traditional culture. The Chinese traditional culture has a long history, more and more foreigners concern about the precious heritage of ancestors.I have made a lot of friends who travel to Shanghai almost every year with a lot of friends. They say the main reason is that they are attracted by Chinas rich culture and beautiful landscape, which is full of mysterious. Coupled with rapid economic growth in China in recent years, for which inspires them going to feel the oriental country strongly. Many friends are a family to go to China and it seems that it is really an attractive for them to go for a trip in China. There are all kinds of local snacks outside of the Yu Garden.Maybe it is another reason why so many foreigners are attracted.